It’s no surprise that fast shipping is the new norm, and customers expect that service when they order products online. 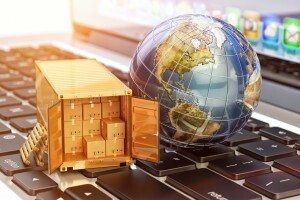 It may not seem like a big deal, but the factors affecting the location of a warehouse directly impact your success as an e-commerce business. Location plays a major role in reducing transit time, saving you money, and allowing you to provide for your customers within a shorter span of time. Your entire business needs to be focused on the customer if you want to keep up with your competitors. If you choose to handle your own order fulfillment, you may be limiting yourself to your own geographic location. This may not be optimal if you are planning to grow your business and reach out to more customers. By outsourcing to a third-party logistics (3PL) provider, you have the opportunity to choose a good fulfillment location that has better access to the customers you want to reach, and it’s closer so that you can provide faster and more affordable shipping. If you’re ready to make your e-commerce business work better, consider the following selection criteria for warehouse locations. There are many criteria to consider when selecting the best possible warehouse location. The following criteria can help you get a better idea of what can make an order fulfillment warehouse improve your business, have a better impact on your customers, and secure the handling and storage of your valuable materials and products. Before choosing a fulfillment center, consider the following factors carefully. If you have strict storage and firefighting requirements for materials that are hazardous or flammable, or even if they are food items, you need to make sure that the location you’ve chosen properly suits and handles your needs. Your e-commerce order fulfillment company needs to understand how to handle products that require a chemical system, versus a water-based system. They should also be considering the environment, and you should know if there are any streams or bodies of water in close proximity. You can avoid a great deal of unwanted disaster by being proactive and checking the storage requirements of your warehouse location. For your business to thrive you need to make sure that your warehouse is as close as possible to the customers you need to reach. In e-commerce fulfillment, customers nowadays expect to have low shipping fees, and even free shipping in some cases. If your warehouse is far away from your customers, you will have to charge more to cover your shipping costs, which can lead to lost sales and cause a major challenge in your business. You can also work with fulfillment companies that have multiple warehouse locations. Another important aspect to consider when making decisions about warehouse location is to find out if they have a solid workforce. Do their workers have the skills to handle your products? Does the service come at a good price for you? You should consider the local demographics of the area you are considering. Aside from the cost and availability of the workforce, you should really find out about their skills. A gap will result in low levels of customer service, and reduced competitiveness and productivity. Does the warehouse have proper handling equipment and staging facilities? When choosing a location for your warehouse, you should think about whether the primary model is a truck, if the facility has internal or external docks, and if they have enough storage facilities available. Once you have decided upon a warehouse that fits your needs as a business, you should consider the location’s build and lease parameters. Do they offer rail sliding? Transloading? Do they provide racked or bulk storage? Also consider the type of rental contract your warehouse offers. Make sure that you are properly informed of any immediate square footage storage offerings, as well as long-term options. Congested roads, highways, and bad signaling can increase the fuel consumption and accident rates, and it’s time wasted as you try to get your products to your customers. This wasted time can increase shipping costs, and negatively affect your relationship with your customers. Local environmental factors you should consider may include proximity to suppliers, producers, and the markets being served. Your new warehouse should be as close as possible to your customers, major suppliers, and producers. By having a reduced lead time, lower transportation costs, and increased responsiveness, you will thrive as a business. You should consider who the major supply chain partners are, and how you can make your supply chain more efficient by strategically selecting the warehouse location. You should also consider environmental conditions such as the weather and exposure to natural disasters. If your warehouse will be exposed to hurricanes, tornadoes, or earthquakes, it must meet specific building requirements to ensure that your products and materials are secure. You should also consider how close your warehouse is to neighbors, traffic congestion, and peak traffic hours. These variables can affect your operations. Outsource Your Logistics to APS Fulfillment, Inc. Managing the operations of your e-commerce business may be too great of a task to handle alone, so outsourcing to a reputable and successful 3PL provider will save you the trouble so you can focus on other important areas of your business. If you want to benefit from maximized profits, reduced wait times, and top-notch customer service, consider working with APS Fulfillment, Inc. Our professionals provide our clients a variety of solutions to meet their warehouse organization needs. We provide service in e-commerce fulfillment, product fulfillment, direct mail marketing, fulfillment solutions, and fulfillment markets. We also use the best quality systems to manage your warehouse, so if you’re looking for the right company, look no further than APS Fulfillment, Inc. You can contact us by e-mail at [email protected] or by phone at (954) 582-7450. How Can Fulfillment Centers Help Increase Sales?